The software efficiently converts Thunderbird mail files (in . 'MBOX' format) to MS Outlook PST files. You can move either a single mail file or an entire Thunderbird mailbox or identity to MS Outlook. The software allows migrating MS Entourage identities to MS Outlook. With the help of this tool, you can safely import all your Entourage emails into MS Outlook PST files. This provides a convenient way to make a switch from Entourage to MS Outlook. This advanced MBOX to PST utility smoothly transfers all mail items from mailboxes in Spicebird email client to Outlook PST files. These mail items can be restored either to a new PST file or to an existing Outlook PST. Using this Converter for MBOX, you can easily export all your PocoMail mailboxes ('In', 'Out', 'Draft', 'Sent', etc.) to a usable '.PST' file. This PST can be imported into MS Outlook and used to access the converted mails. 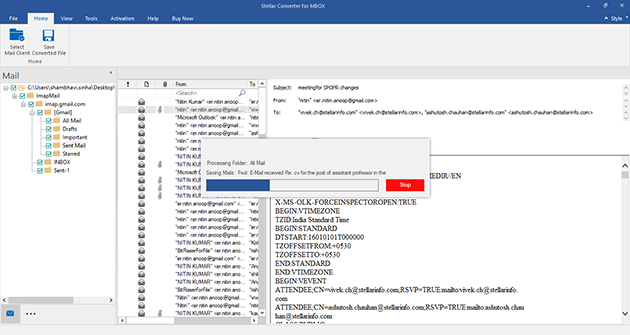 The software enables you to quickly convert your Eudora mailboxes (.MBX files) to Outlook PST. 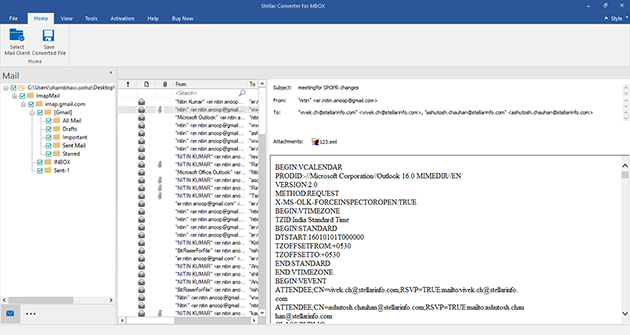 You can view all the contents of your mailbox file by importing the '.PST' file into MS Outlook. 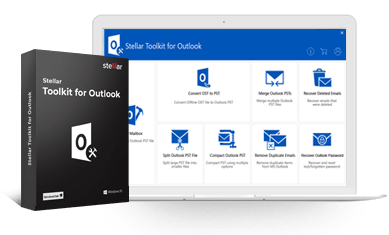 This competent tool facilitates effortless and risk-free conversion of Apple Mail folders ('Inbox', 'Outbox', 'Sent Items', 'Drafts') to Outlook PST files. The software extracts all emails in these folders with their original formatting and hierarchy intact. It allows a safe conversion for Claws Mail users to get Microsoft supported Outlook PST file. 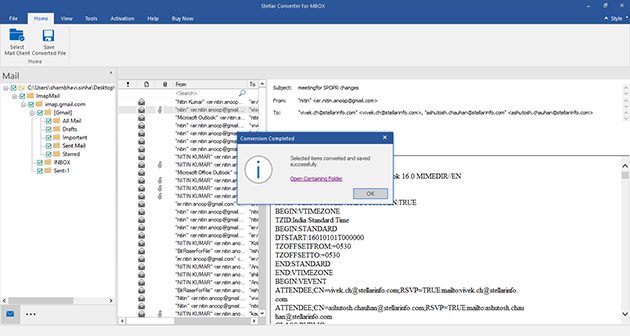 After conversion, you would be able to import PST file in Microsoft Outlook premises. 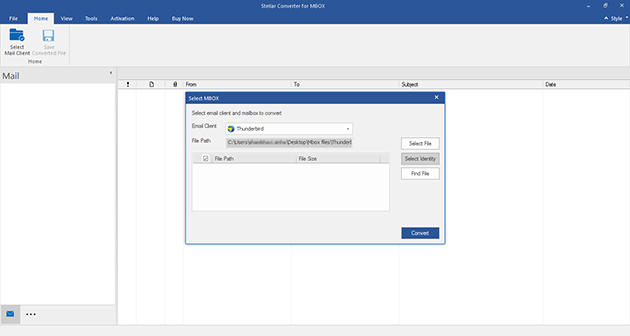 Opt MBOX to PST methodology to transform UNIX supported Cone Mail in to Windows supported Outlook PST file. It takes lesser time to accomplish this meaningful conversion. It converts Novell Evolution file format in form of Microsoft Outlook based PST file. MBOX to PST interface provides option to save resulted PST file at desired location of hard drive. Then, it can be imported easily in all MS Outlook versions. By using this excellent software, you can convert GNU mailboxes (i.e. supports MBOX format) in to PST file. It is compatible with all MS Outlook versions. 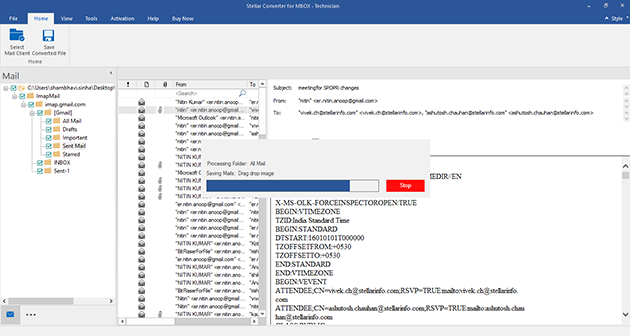 This software easily scans the mailbox of Mozilla Mail and decodes in Outlook PST file. When process is completed, it shows the preview of all converted emails and provides option to save individual/all mail items. It finds the exact location of mailboxes of Mulberry then gives the interface to start conversion process. In final step, users are free to save PST file at their specified place. 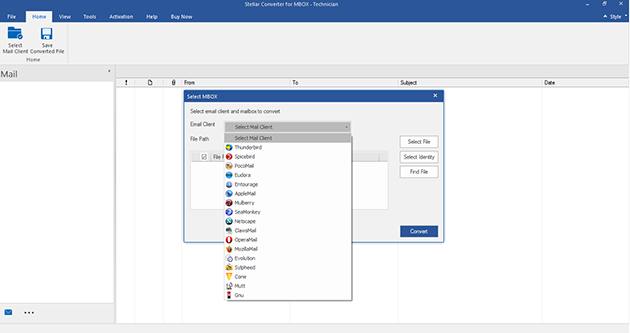 If Mutt's mailbox is available in MBOX format then it is quite simple to convert in Outlook PST file. MBOX to PST provides an interactive interface to complete this requirement in minimal steps. All messages in Netscape mail client are stored in MBOX file. Hence, it is required to adopt this converter for safe transformation. During conversion, user can assured with preview mode that shows all mail items with "No Data Loss" policy. With low level of satisfaction with Opera mail client, you can move towards Microsoft Outlook platform. To accomplish this need, MBOX to PST converter facilitates the user to convert opera mail folders in to PST based folders. Seamonkey email users can experience MS Outlook without any hurdle. 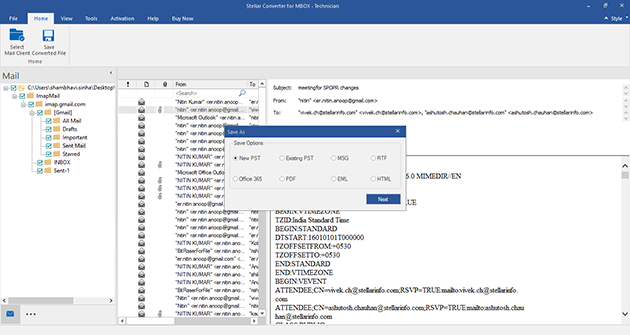 It can possible through advanced MBOX to PST converter. It provides an ease to use interface that helps to complete this conversion with guaranteed result. Sylpheed supported MBOX file format for each mail folders. By using this utility, it produces PST file format corresponding Sylpheed mail folders. This software enables the user import their MBOX files into Office 365 mailbox. The software allows saving the converted mailbox as a new PST file or restoring it to an existing Outlook PST. You can choose to save this PST file to any desired location in the system. With Stellar Converter for MBOX, you have the choice to search for all MBOX, MacMBOX, MBX, and Apple Mail files in your system. You can search for these files in any specific folder, subfolder, or drive. The software scans the selected MBOX file and lists this file in the left pane under root node. 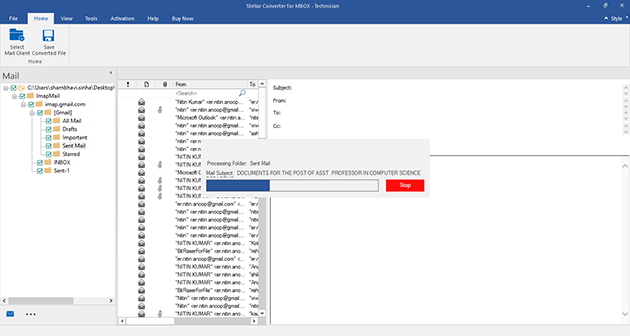 Before converting MBOX to PST, you can preview all emails stored in the file. To do so, you need to select the desired mail item from the top-right pane. This application provides effective & simplified method to convert a MBOX supported mail folder in to PST data file. In first step, it shows list of email clients for selection as per user's need. Then next phase provides option to fetch targeted MBOX file automatically. Now you can initiate the process of conversion and get expected PST file format instantly. Using user-friendly saving options incorporated in the software, you can really trim back on your efforts. The software lets you save the converted mailbox (MBOX) either to an Outlook profile configured on your system or to a PST file. Users can also make benefit from this software by selecting other desired formats to save converted MBOX file in PST, EML, MSG, HTML, RTF and PDF formats. 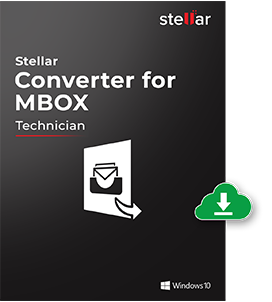 Stellar Converter for MBOX now supports saving converted mails to an existing Outlook profile. This adds a layer of flexibility to fit the end user requirements and make the entire process laborsaving. Que: Do I need to install MS Outlook to view the converted mails? Answer: Yes, you can convert MBOX to PST without installing MS Outlook, but to view the mail content of your converted PST file Outlook must be installed in your computer.